Welcome to the Bengals War Room! It looks like I will be the GM for the second iteration of FFMD, but in case anyone doesn't know this is going to be a mock offseason where we try to put together the best possible draft for our Bengals. But more than just putting together a great draft it's also about sparking discussion, increasing activity and having fun during the offseason so let's get started. Unlike FFMD I there is no free agency (obviously). There will be a full seven round draft and after that a period to claim undrafted free agents. I hope to run things basically like johndeere did last time around. I thought things went really well then, and it was simply the most fair way to do things. It's going to be a democracy, everyone has a vote and everyone's vote counts equally. No decision is going to be made without the support of the war room. Now would be the time to fill the staff for FFMD II. If you're interested just simply post in this thread stating the position you would like. But to be honest, which specific position you get isn't that big of a deal. We are a small group of guys so everyone's voice will be heard, will be counted and will be significant. And don't be shy! johndeere is a writer this time around and thevillain is running FFMD so we won't be able to get much, if any, input from them. Positions to sign up for are listed below. 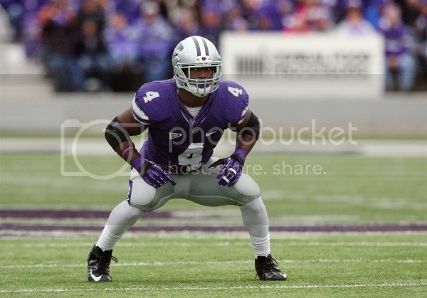 - We here in Cincinnati are thrilled to welcome Arthur Brown as the newest member of the Bengals organization. I personally have him graded as an elite prospect, and the third best player in this draft class behind only Chance Warmack and Star Lotulelei. A three down linebacker is something this team lacks and he has the versatility to play any of the three linebacker spots while starting in our nickel packages. An elite athlete with great closing speed, top flight instincts, fluid hips and off the charts intangibles Brown is a leader on and off the field, another trait we value highly. And those criticisms of his size are unfounded. He plays bigger than he is and with violent hands and a great understanding of angles he's not only very capable shedding blocks but also smart enough to take the proper routes to avoid blockers altogether. Welcome to Cincy Arthur! Franklin is a well rounded back who can step in right away and split carries with BenJarvus Green-Ellis. While he flashes the speed to take the edge and the wiggle in the open field to make people miss he has underrated lower body strength and the ability to run between the tackles. His soft hands will allow him to be a three down player and we love his character - this is a guy who aspires to one day be the mayor of LA. Well first he's gonna be a Bengal, welcome to Cincy, Johnathan! Not all that different a player than Matt Elam who went #22 in this draft, Thomas is great value here in the late third round. 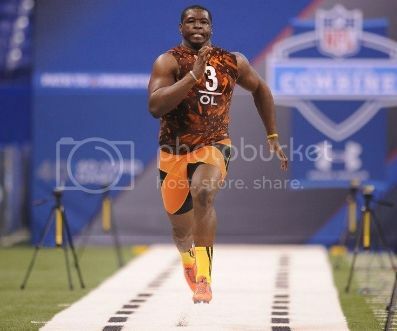 With elite athletic ability - as evidenced by his 4.4 40 at the combine, ridiculous 40'' vertical and 11'1 broad jump. He plays with reckless abandon and doesn't no any speed other than his fastest. 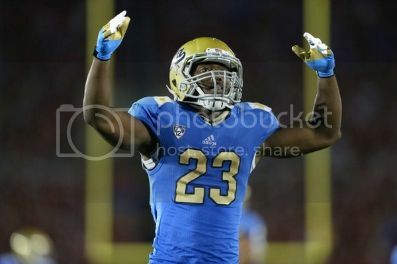 Mike Zimmer and the Bengals organization wants guys like that who put for big effort and big energy and Shamarko has the ability to play all over the field, from blitzing to slot corner and he is a physical force in the run game. 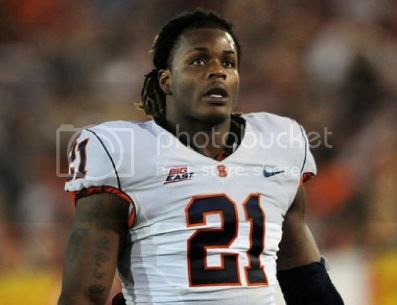 Welcome to Cincy, Shamarko!! Huh? Well the Bengals really like what Barkley brings to the table. No, he's not blessed with elite physical tools but I personally have a top forty grade on him and here at pick 93, he's exceptional value - and lets be real, on draft day I don't think it's very likely he slips this far. Josh Johnson and John Skelton were decent signings but neither is someone who can truly push Andy Dalton - Barkley can do that, and starting right on day one. With elite football IQ, a complex understanding of defenses, great anticipation and good ball placement we love that Barkley is NFL ready from day one and comes from a very similar offense at USC, allowing him to understand the concepts in Jay Gruden's WCO. 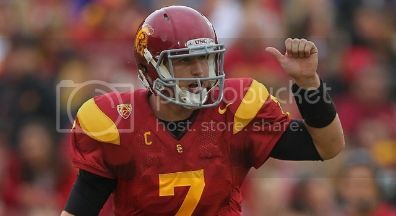 Welcome to Cincy Matt! I can still throw my 2 cents in, and so can theVillain. Should we pencil in Arthur Brown @ pick #21 now? Put me in for something. I'll go back in later and edit it if I don't like it. Looks like we'll have an open RT position when the rosters freeze. Thats good because your input will be helpful. As will you giving us an "A++" grade and first place in FFMD II. sparky, it does seem like Andre won't be signed. Which is unfortunate. Adds a need where we didn't have one before. So the Panthers are interested in moving Jonathan Stewart, and right now their asking price is a third round. Would we be interested? If we did give up our third rounder for Stewart I think hopefully we could get back a sixth or seventh rounder as well. The Panthers do have a need at CB, we could swing a deal with them maybe offering Jason Allen + pick for Stewart. Honestly, I'm kinda opposed to the deal because I think this draft is filled with quality backs. Any opinions? I'll be a scout and throw in my $.02 if you guys want. I agree with you, though trading down from 21 is a possibility depending upon the board I think. Sounds good to me if you're OC. Anyone willing to step up for AGM? Basically the big role will be submitting draft picks if I am not around. And lastly any guys we want to put on the trade block? Personally I say Jason Allen, Jamaal Anderson and maybe Taylor Mays can go on there.